Digital payments firm TranServ Pvt Ltd has raised $15 million (Rs 100 crore) in its Series C round of investment led by venture capital fund IDFC SPICE and consumer electronics maker Micromax Informatics Ltd. Existing investors Nirvana Venture Advisors and Faering Capital India Evolving Fund also participated in this round, the company said in a statement. IDFC SPICE is part of IDFC Asset Management Company. TranServ, which was founded in 2011, said it will use the funds to grow its business and invest in new products including micro credit. Co-founder and CEO Anish Williams said the company saw transactions jump four-fold in the past year through its Udio digital wallet and other payment products. The goal for this financial year is to grow between 300% and 500% while maintaining unit economics, he said. TranServ provides online payment solutions to both consumers and businesses. Its products include a prepaid card, mobile card, remittance card and gift card. For businesses, it offers customised solutions such as employee cards, sales channel incentive cards and customer engagement card-based solutions. Its payment solutions are offered under the brand Shmart!Pay. Its Udio wallet allows users to make peer-to-peer transactions, split bills and make group payments. In November last year, the company brought in former OnMobile global digital marketing head Asutosh Upadhyay as chief product and marketing officer. 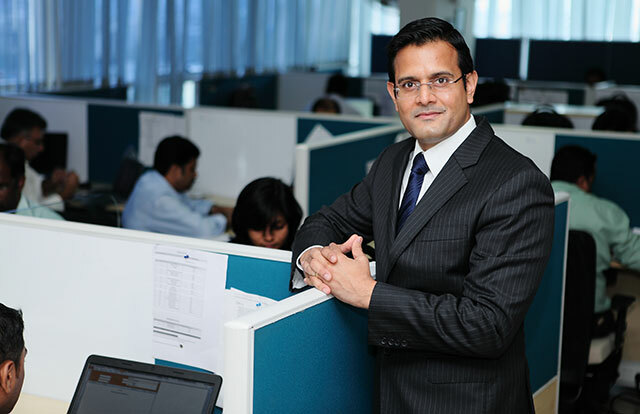 TranServ has also appointed Kaushik Mitra as senior vice president of product and Amit Kumar Gupta as SVP and head of engineering. In July 2014, TranServ raised an undisclosed amount in Series B funding led by PE fund Faering Capital’s India Evolving Fund, with participation from existing investor Nirvana Venture Advisors. The digital payments segment is dominated by heavily funded players such as Alibaba-backed Paytm and Snapdeal’s Freecharge. Other players include MobiKwik, Oxigen Wallet and PayU Money.